What Is Commercial Baby Food? 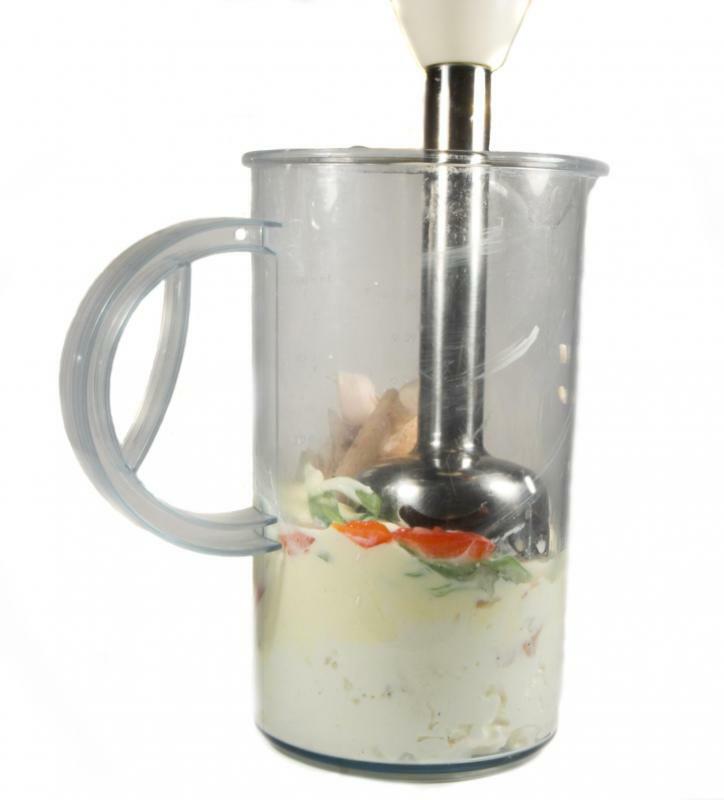 Parents may choose to make their own baby food at home using a food processor. 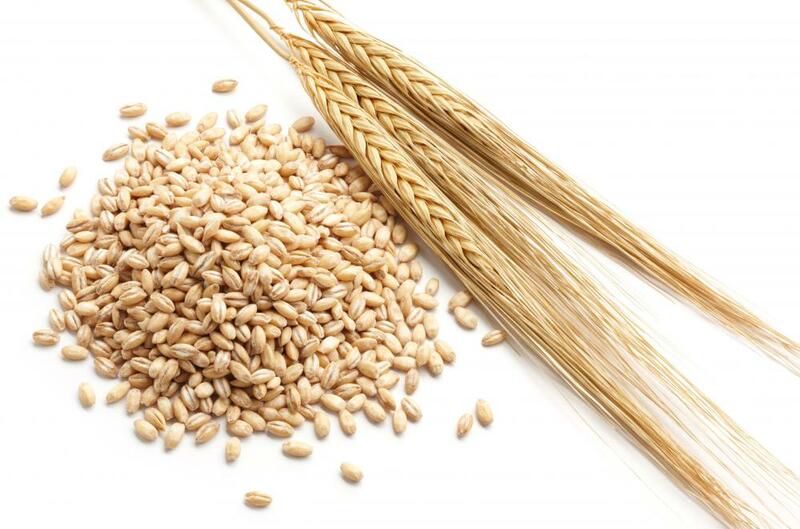 Grains such as barley may be added to commercial baby food. Commercial baby food is a processed product that is sold to consumers and usually consists of puréed fruits or vegetables that are used to feed children roughly six to 18 months in age. Baby foods are used in the period after babies have stopped breastfeeding or drinking only liquids but before they have developed teeth to begin eating solid foods. Most commercial baby foods contain all-natural fruits or vegetables, and there are varieties that contain extra nutrition or organic foods. Parents will sometimes make baby food at home as an alternative to the store-bought, commercially produced varieties. Many commercial baby food varieties contain puréed fruits such as bananas, pears, peaches, strawberries and apples. These fruits contain high levels of vitamin C, which can protect babies against diseases and helps them absorb iron and calcium. In addition, commercial baby food that is made from fruit has a sweet flavor, which many babies like. Parents often like this aspect because it makes feeding their babies an easier task. Fruit-based baby foods also usually contain small amounts of fiber and iron. When choosing a baby food, parents might choose a store-bought variety made from vegetables. Vegetable-based commercial baby food can include broccoli, sweet potatoes, squash and peas, among others. To go along with the savory taste, manufacturers might include a grain such as barley or a meat such as chicken or beef. Depending on the ingredients, these baby foods can contain vitamin C, vitamin A, iron, fiber or calcium. The downside to some vegetable types of baby food is that they often contain high levels of sodium, which some parents might want to avoid. 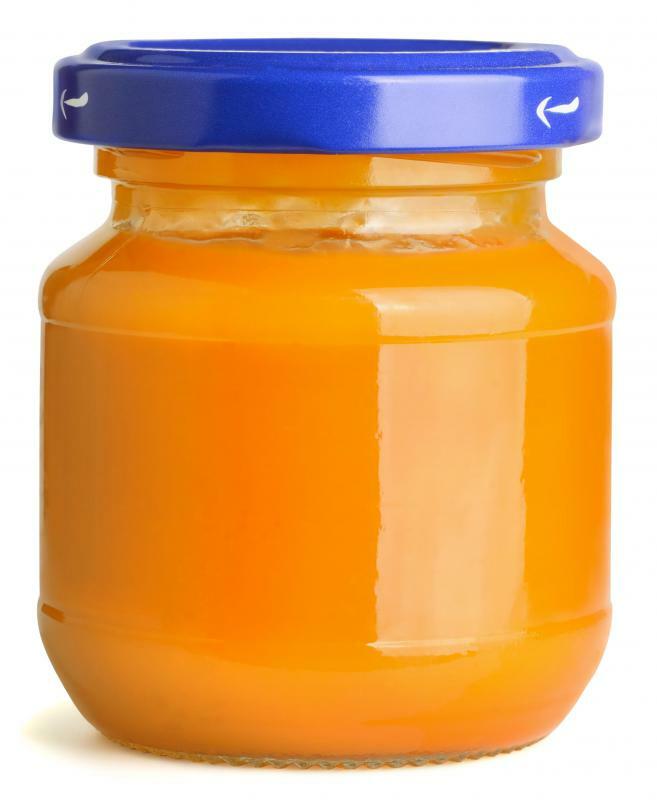 Some commercial baby food products are marketed as healthier options. When feeding their babies, parents might choose to buy organic baby foods that contain no preservatives or hormones and use fruits and vegetables that were grown without the aid of pesticides. In addition, there are varieties of commercial baby food that are purely vegan and those that will satisfy a kosher or halal diet. Some commercial baby food products come in wheat-free varieties, which are useful for parents of children who have wheat allergies. Although many parents choose commercial baby food, others might choose to make their own at home. Doing so requires that parents purée fruit or vegetables in a food processor or by hand with a fork. Parents who use homemade baby food should remember to clean all utensils carefully before making the food and to look for signs of food allergies that they might not yet know their children have. What Are the Different Flavors of Baby Food? What Is a Baby Food Processor? What Are the Different Types of Chicken Baby Food? What Is Vegan Baby Food? What Are the Best Tips for Making Baby Food? How Do I Choose the Best First Baby Food?